The Desert Mountain Character Area, in the most northern part of Scottsdale, is North of Stagecoach, West of Pima, and adjacent to Tonto National Forest. In the foothills of the Continental Mountains, this area is at higher elevations, distinctively wetter, cooler, and windier than most parts of Scottsdale. This is High Sonoran Desert with views of mountains 50 to 100 miles away. 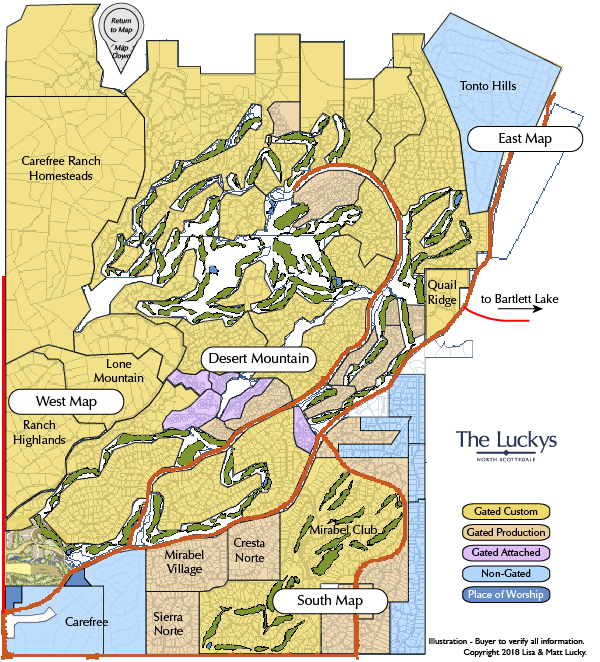 Within the Desert Mountain Character Area, is Desert Mountain – the largest master planned development in Scottsdale. Your will also find guard-gated Mirabel Club – newer development with a highly regarded country club. Several other gated and non-gated subdivisions complete the Desert Mountain Character Area. Be sure to check out the communities South, West and East of Desert Mountain. See all Desert Mountain Area New. 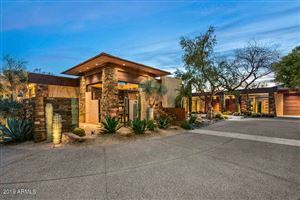 See all Desert Mountain Area Sold.